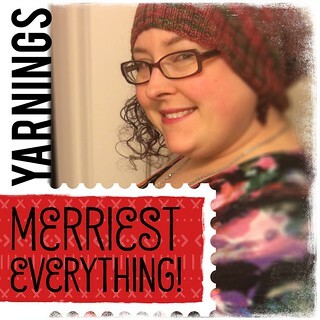 Welcome to the Yarnings Podcast, episode 108. Recorded Sunday evening, May 20, 2018. The sun shines in my window on an afternoon after brunch. Enjoying finishing the knitting on a WIP, with two other items in process, and not sure what the next thing to be needle adjacent will be. Some sagas of geekery in the form of smiling over an alpaca themed gamed and being teary over season/series finales. Fancifully chattering over purple eyes and cookbooks. Welcome to the Yarnings Podcast, episode 107. Recorded Sunday evening, May 6, 2018. A warm day starting out May to close out my birthday month. 3 current knitting projects with 5 awaiting ends woven in feels like an imbalance! a lovely stash enhancement is great fun for my birthday month. Talked about some of the fun things that brought me joy during my birthday month including makeup and things I'm watching and listening to. Welcome to the Yarnings Podcast, episode 106. Recorded Saturday evening, April 6, 2018. A warm sunshiny day in the middle of Gamestorm weekend. Between some gaming weekends, I knit on my Wonder Woman wrap with some help from my cosplaying minifig. Fanciful chatter with my haircut and jewelry and lipstick flits throughout. Welcome to the Yarnings Podcast, episode 105. Recorded Monday afternoon, March 19, 2018. It is a day that wavered between sun and clouds. a look at the knitting since last week, some books, creativity, and more! 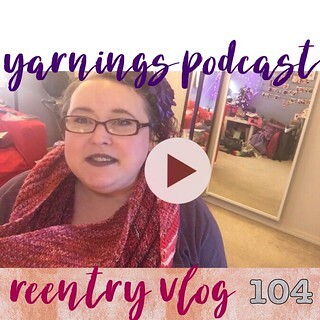 Welcome to the Yarnings Podcast, episode 104. Recorded Sunday afternoon, March 11, 2018. It is a sunshiney day. describing where I'm at in a short more vlog (video blog)-like entry to my podcast. Continue reading Episode 104: Reentry Vlog. 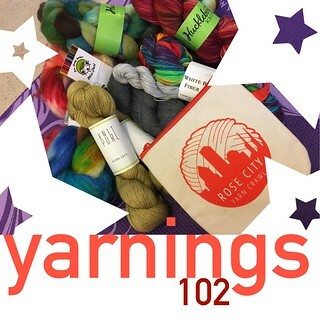 Welcome to the Yarnings Podcast, episode 103. Recorded Thursday afternoon, March 9, 2017. It is currently raining. a look at the Rose City Yarn Crawl fun. trying to re-find my knitting mojo! Continue reading Episode 103: post-Yarn Crawl. Continue reading Episode 102: the return. Continue reading Episode 101: Christmassy. 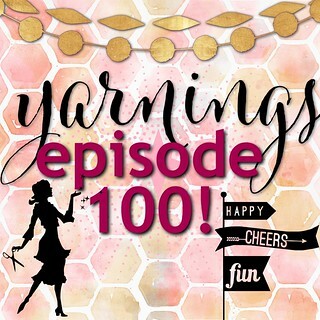 Welcome to the Yarnings Podcast, episode 100. Recorded Monday, December 5, 2016. It's cold with snowflakes earlier and 37° in Vancouver, WA this afternoon. celebrating episode 100! :throws-confetti: these are a few of my favorite things! and finishing the sweater series for now. Continue reading Episode 100: Sweater Finishing and Favorite Things. 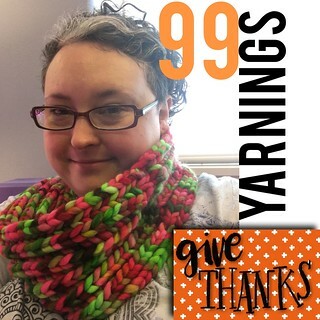 Welcome to the Yarnings Podcast, episode 99. Recorded Monday, November 28, 2016. It's partly cloudy and 52° in Vancouver, WA this afternoon. sweater series continues for NaKniSweMo with thoughts on sleeves or the lack thereof. played with multiple crafts over the holiday weekend. Continue reading Episode 99: Sweater Series, part three.